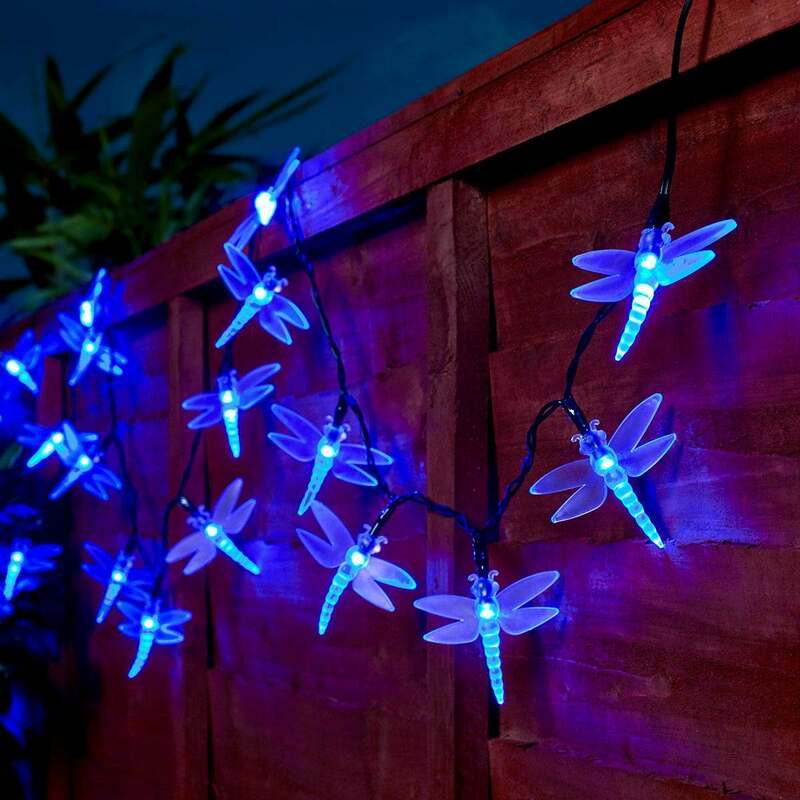 Product details - These 5m battery operated dragonfly fairy lights feature 50 leds, in a variety of colours including white, warm white and blue, running along a clear cable. The waterproof battery box boasts either twinkle or steady on settings and a timer function too. Ideal for outdoor trees, bushes, hedges and decking, they're perfect for all events, including bbqs, weddings, christmas, parties and festivals. We almost forgot...of course you can use them indoors as well! The plastic battery pack is both robust and waterproof, ensuring the batteries, function switch and timer survive all that the british weather can throw at them. 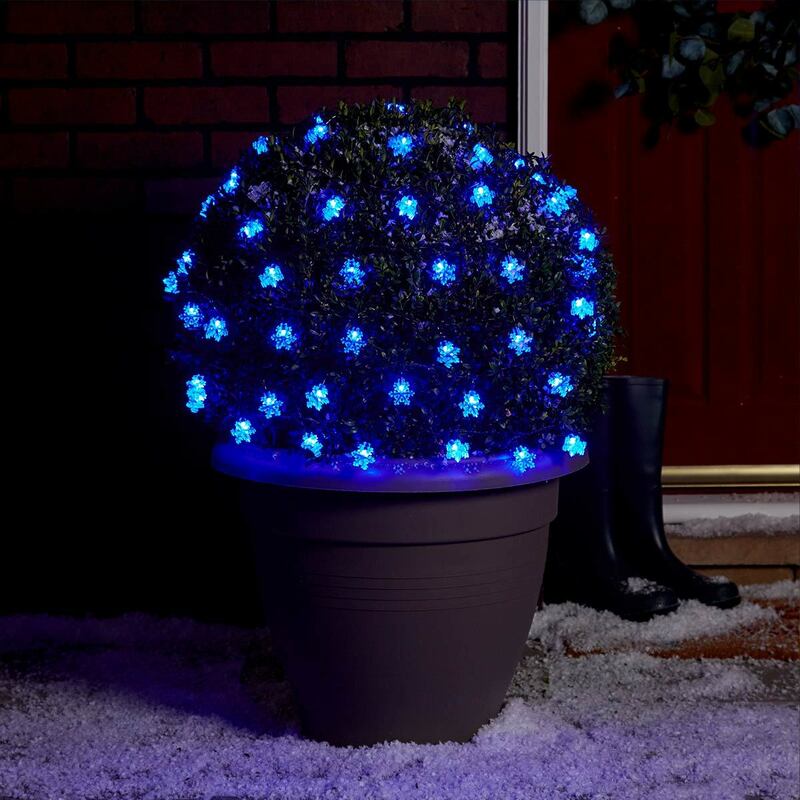 Simple to use, the handy timer function allows you to leave the lights switched on they will remain illuminated for six hours, before turning off for eighteen hours and switching back on at the same time as the previous day, it’s that easy! This is brilliant for two reasons firstly, it saves you having to remember to switch your beautiful lights on off every night and, secondly, it conserves the battery life. To operate press the button on the battery pack. The following code shows you how many times you need to press the button to activate your chosen function and setting 1. On steady 2. On twinkle 3. Timer steady 4. Timer twinkle 5. Off please note these lights require 3 x 'aa' batteries not included and the dragonfly caps will arrive separately ready to be assembled.